One of the perks of being a blogger is receiving new products to try from existing or new brands. 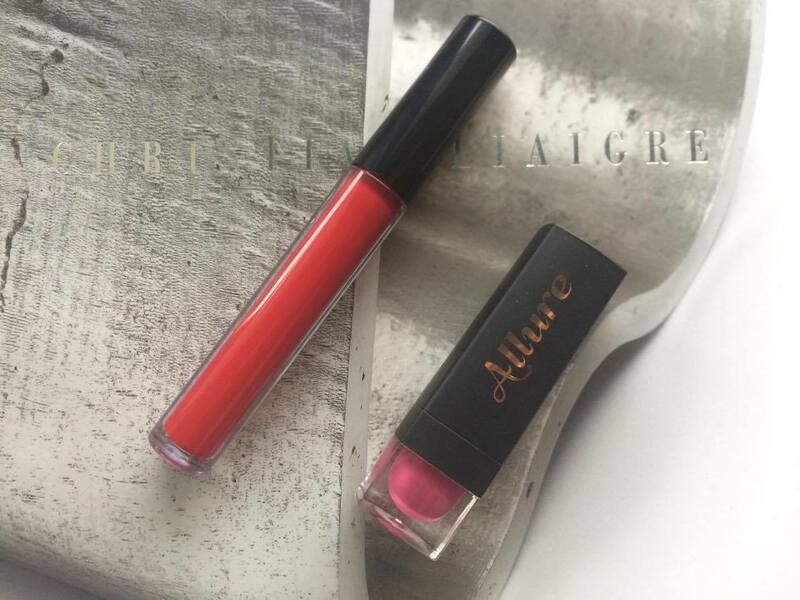 I was contacted by Allure Cosmetics through Instagram and informed me that they will be sending full size samples of their lipstick products for me to review. And whenever I got such message, the feeling is just like the first time I received my first ever sample product to review. Yes, this is the Nth time I got samples to review but the excitement is just the same. 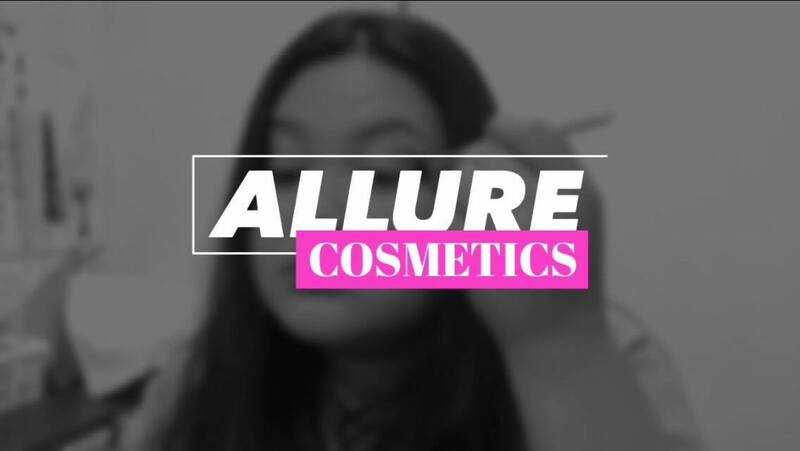 Allure Cosmetics is a Singapore based company which started just this year (2017) whose aim is to meet the needs of all women with different skin type with glamour and sophistication, yet with high quality at affordable prices. I received the parcel they sent me last week. It was few days delayed than expected delivery since we had long EID holidays here in UAE. It was perfectly wrapped in a protective cover and sealed in a plastic pouch. I gently unwrapped it and happy to see that the lipstick boxes did not have dent at all. I received one liquid matte lipstick and one satin lipstick. So here's my brief review of the lipsticks I received. 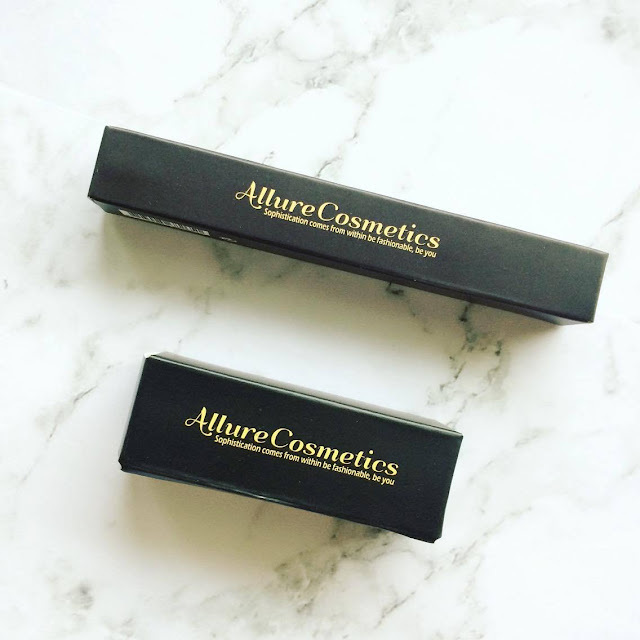 Packaging: Both lipsticks come in a black-matte, thick quality box with brand name written over it. The ingredients were also printed on the box which is a plus point. Shade name was stickered on one side of the box's opening cover for the satin lipstick, while there is none on the box of liquid lipstick. 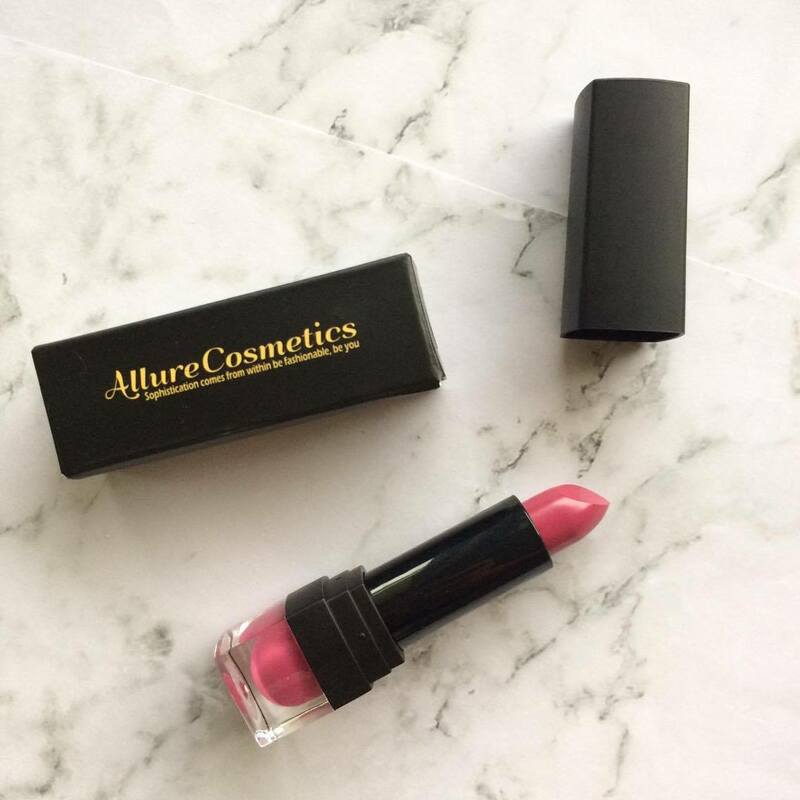 The satin lipstick comes in a black matte rectangular shape with angular edges. It has a clear small bottom compartment filled with a colored formula which is of the same shade as of the lipstick. I think it is quite useful for consumers to see in an instant the actual shade of the lipstick even without opening it. 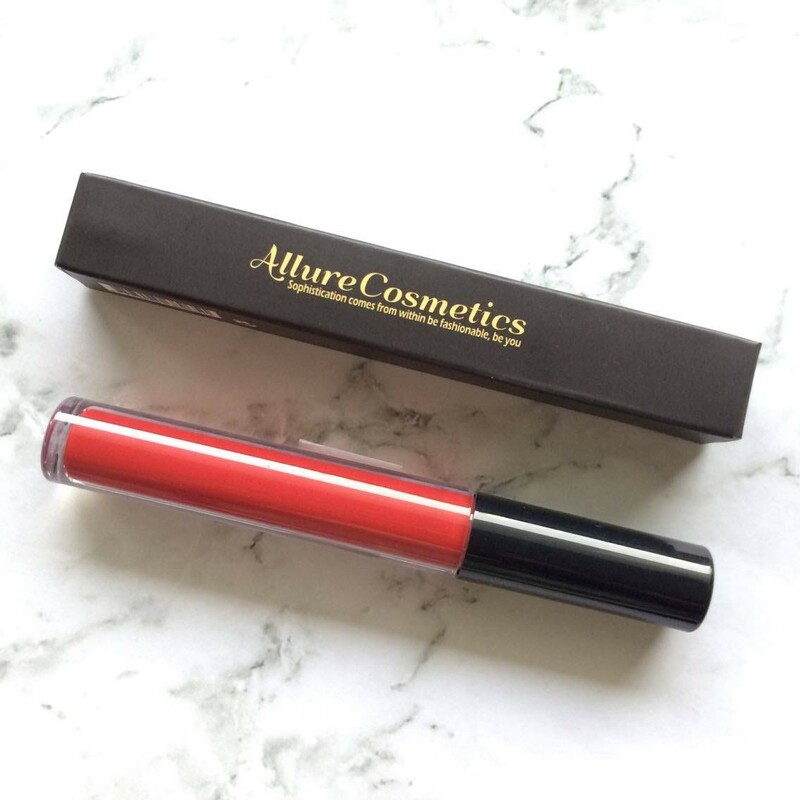 The liquid matte lipstick comes in round clear tube with black handle. It doesn't have any brand name printed on it's body, unlike the photos they have in the website. Well, maybe what I got was from the first batch. While the shade name with the brand name was stickered on the bottom of the tube. It has a common 'doe foot' shape wand applicator which is nice to use, as it glides effortlessly. 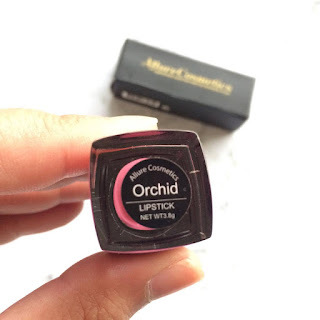 Satin Lipstick in Orchid shade: I tried first the satin lipstick on the day I got the parcel. 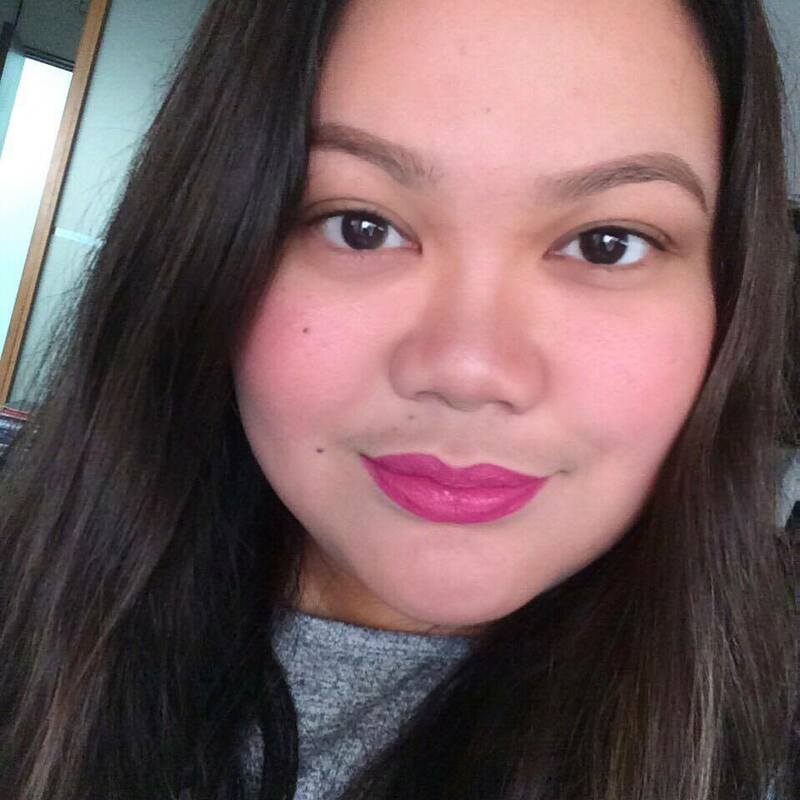 It was Sunday, the first day of my work week here in UAE, so I wanted to start with a vibrant yet not so strong shade of lipstick. 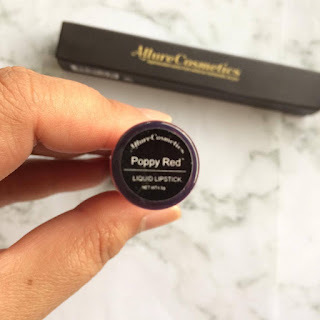 The shade I got from the Allure Cosmetic's satin lipstick collection was "Orchid". It is a bright pink-purple color which I believe would be flattering for fair to dark skin tones. 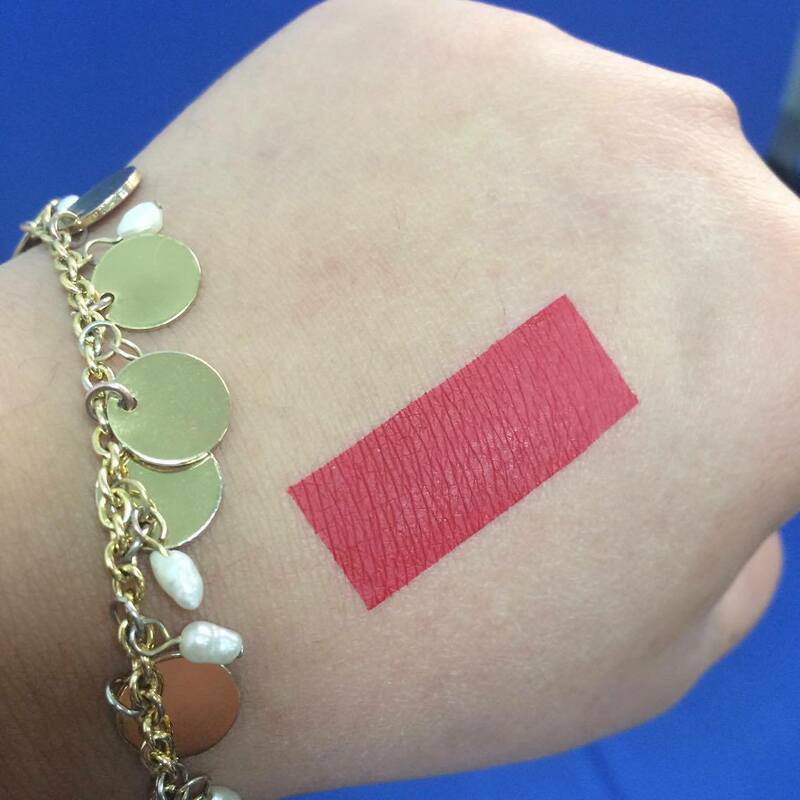 It gives good medium coverage in a single swipe and full coverage in another. It also has a shine finish on it a good moisturizing effect that keeps my lips hydrated throughout the wear time. The scent of shea butter is another plus point! Although the color and texture was great, it is definitely not long-lasting lipstick. But I guess 4 hours of wear time for a non-matte lipstick is good enough! It faded naturally and evenly, so it was easy to just apply another swipe when it needed a refresh. 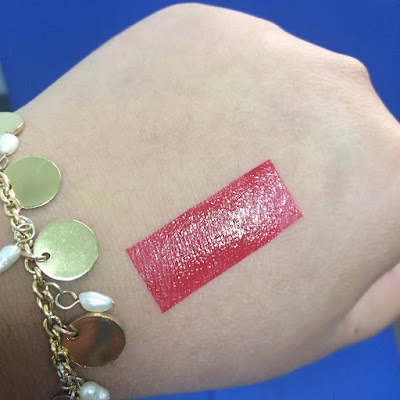 Liquid Matte Lipstick in Poppy Red shade: The next day, I tried the liquid matte lipstick. 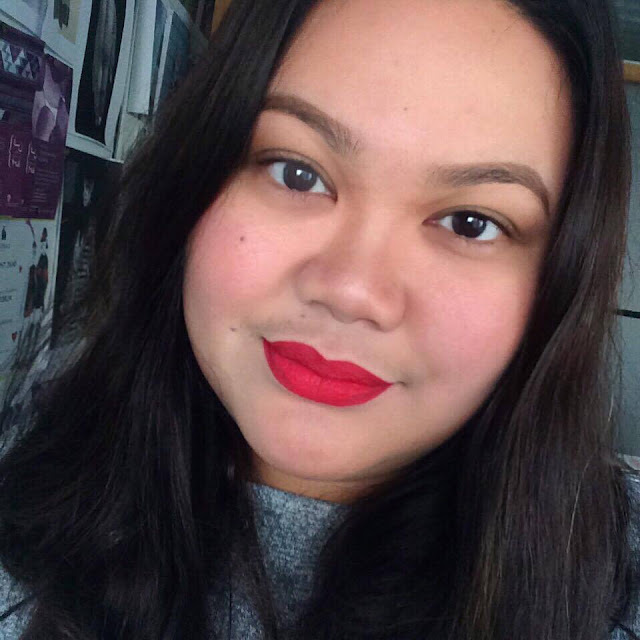 I got "Poppy Red" shade from their liquid matte lipstick collection. It is a vibrant red shade infused with a touch of orange. 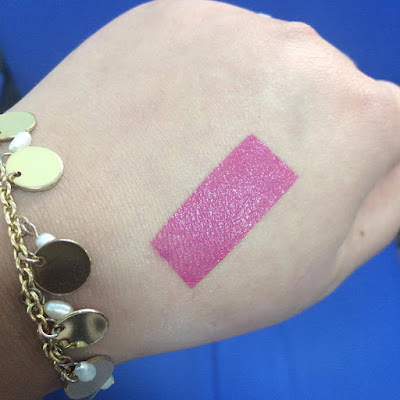 Since I was in love with liquid lipsticks, I have tried so many rituals prior putting it on to avoid patchy lips and to achieve a smooth canvass. I do all these rituals at home before coming to office and do my makeup. It has a very light creamy texture which makes it easy to apply. It applied smoothly and evenly on my first swipe, but I layered another coat until I was satisfied with the more pigmented finish. It has a shiny effect when you apply it, but it will turn to a glamorous matte finish after a minute. It was a little sticky too on the first few minutes of the application, until it mattes up. The shade has the perfect brightness which compliments any skin tones. Its vibrance is quite suitable for any festive occasion or even for just a regular day. The longevity of this lipstick depends on how you will apply it. Personally, when I first applied it with 2 coats, it does give a more pigmented color but becomes patchy after couple of hours. Although it didn't feel too dry on my lips, it just came off in dry patches. Yes, that was sad. But I don't give up that easy! I tried it again the next day with the same rituals prior putting the liquid matte lipstick. But now, I decided to use it with a single swipe. It still gives a good color pigmentation but a little lighter than having it in 2 or more coats. And YES it is the perfect way to apply it! It lasted for 5 hours with its rich color then eventually fades slowly after having meals. But still has visible poppy red color for another 3 hours. It does not smudge or transfer to my tea cup, but fades out naturally. In a nutshell: Overall, I am happy and impressed with the quality of both line of lipsticks while it offers a very competitive market price. I am lucky to receive quite a nice and suitable shades for me. The satin lipstick is very much of an everyday kind of lipstick as it moisturizes and gives a natural effect on lips. The liquid lipstick is pretty good too but needed to be cautious on how to properly apply it to achieve its full effect. As I've seen the shades they offer from their website, there are plenty of lovely colors to choose from. I am really looking forward and excited in trying some other shades in the near future.